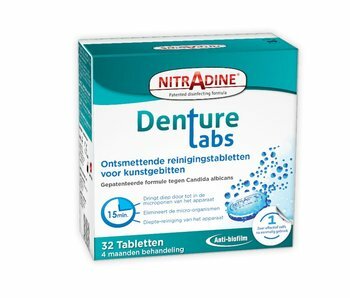 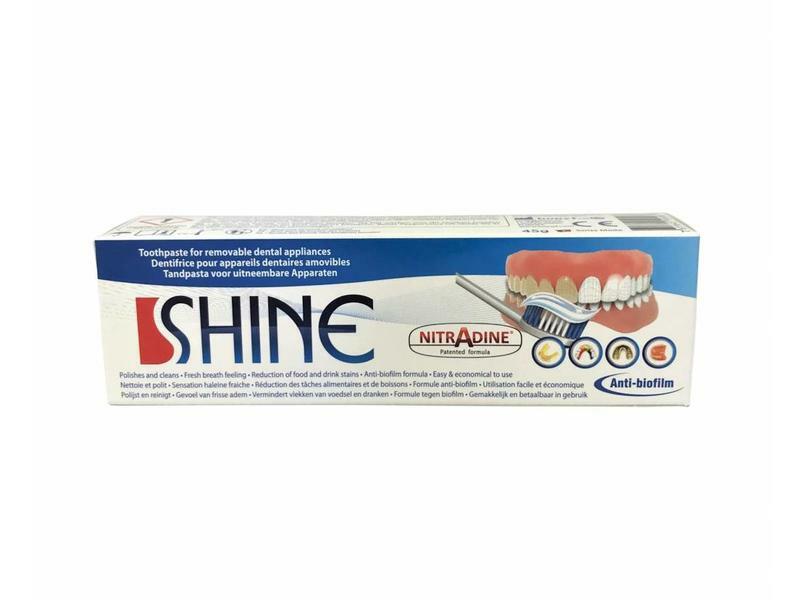 With its "Anti-biofilm" formula, NitrAdine® SHINE has been especially formulated to clean, whiten, refresh and polish your denture or removable appliance. 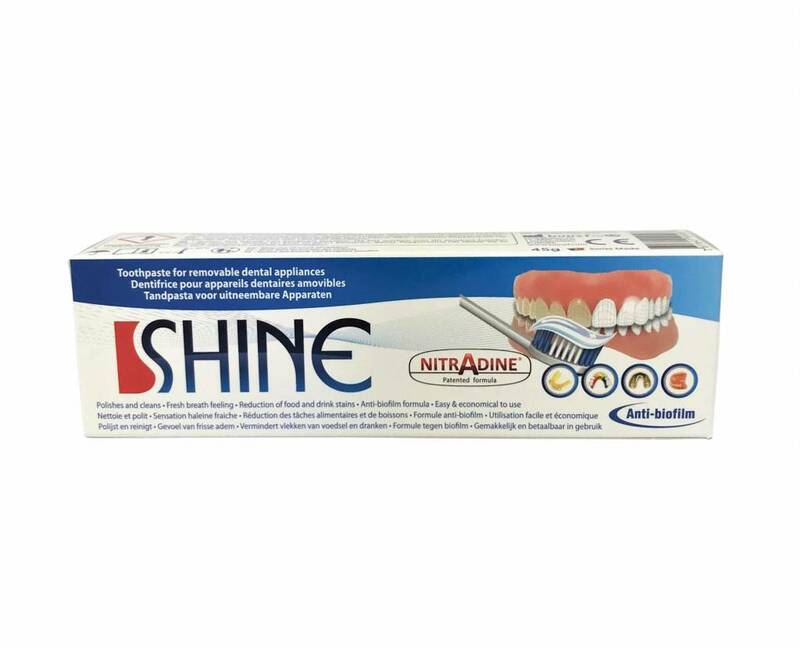 NitrAdine® SHINE has been designed to be used on a daily basis as part of your daily cleansing routine. 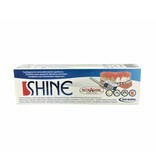 You can use your own toothbrush.